LP version; includes printed inner and download. 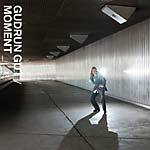 Moment is German electronic originator Gudrun Gut's latest solo collection. Her first solo album since 2012's Wildlife (MONIKA 077CD/LP) and 2007's I Put A Record On (MONIKA 055CD/LP) Moment distills a lifetime of persuasions and obsessions into a compelling 14-track statement. Stark, somber, sultry, and clever, the sides slide between ballad and lament, synth-pop and spoken word, anthemic and abstract. Gudrun Gut's story spans many years, scenes, and sounds, from the "ingenious dilettantes" subculture of early 1980's Berlin as part of Mania D, Einstürzende Neubauten, and Malaria! to her twilit industrial pop trio Matador into an expansive solo catalog of later work scoring films, videos, and radio plays. Her talents extend beyond musician, however, to include founding record labels (the influential imprints Moabit Musik and Monika Enterprise), club nights (progressive electronic pop collective Oceanclub), and experimental feminist collaborations (Monika Werkstatt). Gut also works extensively in the technical sector of the recording industry, as a producer. Recent projects have included collaborations with Antye Greie (AGF) and Hans-Joachim Irmler of Faust, participating on the advisory committee for Musicboard Berlin, and performing at The Royal Albert Hall with Âme as part of an Innervisions label night. Moment is German electronic originator Gudrun Gut's latest solo collection. Her first solo album since 2012's Wildlife (MONIKA 077CD/LP) and 2007's I Put A Record On (MONIKA 055CD/LP) Moment distills a lifetime of persuasions and obsessions into a compelling 14-track statement. Stark, somber, sultry, and clever, the sides slide between ballad and lament, synth-pop and spoken word, anthemic and abstract. Gudrun Gut's story spans many years, scenes, and sounds, from the "ingenious dilettantes" subculture of early 1980's Berlin as part of Mania D, Einstürzende Neubauten, and Malaria! to her twilit industrial pop trio Matador into an expansive solo catalog of later work scoring films, videos, and radio plays. Her talents extend beyond musician, however, to include founding record labels (the influential imprints Moabit Musik and Monika Enterprise), club nights (progressive electronic pop collective Oceanclub), and experimental feminist collaborations (Monika Werkstatt). Gut also works extensively in the technical sector of the recording industry, as a producer. Recent projects have included collaborations with Antye Greie (AGF) and Hans-Joachim Irmler of Faust, participating on the advisory committee for Musicboard Berlin, and performing at The Royal Albert Hall with Âme as part of an Innervisions label night. "Haunting, spooks, ghosts and apparitions are an almost constant presence on I Started Wearing Black, the second album by the Cologne-based artist Sonae (pronounced "so-nah"). . . . I would like to rehabilitate hauntology and use it properly to characterize I Started Wearing Black, because the term is rarely as compelling to describe music as is the case here. The most recent other example could be Asiatisch by Fatma Al Qadiri (2014), but with a completely different frame of reference. [This music] rustles, crackles, ruffles, crunches, rattles, scrapes, sometimes a beat emerges from the constant noise, sometimes an obscure voice mumbles incomprehensibly, sometimes a melancholy piano figure is prevented by this noise from coming too much to the foreground. It definitely is eerie . . . In British pop-jargon, eerie first occurred to me more often when referring to particularly leftfield, spooky and... well... ghostly dub, a bass-heavy, echoing noise, from Augustus Pablo to Creation Rebel to Burial. . . . Sonae is not a kind of neo-romantic veiling with a tendency for escapist nebula. It is more a noise of latency. The noise signals a latent -- not necessarily acute -- threat, a latent uneasiness about... yes... about what? About a 'System Immanent Value Defect'? That's the name of a track on I Started Wearing Black where something that sounds like a French Horn (or a foghorn?) battles for attention through or against the background noise. . . . In the title track, after 184 seconds of rattling and hissing, a beat is unleashed, like an arrow released from a spanned bow, a beatific relief, if there is such a thing. 'White Trash Rouge Noir' first meanders along spookily, then after 144 seconds it transforms itself into a distant cousin of Einstürzende Neubauten 's 'Yü-Gung', but there is no Big Male Ego to be fed here . . . Furthermore, I Started Wearing Black was finished long before the black dresses were worn at the Golden Globes as a sign of protest against sexual violence. . . . The political dimension of gaining weight, feeling ugly and therefore dressing in black in I Started Wearing Black lurks within the noise and never becomes explicit and only rarely manifest -- or a manifesto." --Klaus Walter "Dream Sequence" features Gregor Schwellenbach. Black-on-black cover print; Includes download code. A collection of remixes taken from the Monika Werkstatt album (MONIKA 090CD/LP). A truly Nordic co-production, Charlotte Bendiks from Tromsø, Norway, remixes Finnish artist based in Berlin Islaja's "Sappho's Gifts", accentuating the surreal essence of the piece. Romanian Borusiade turns Columbian-artist-in-Berlin Lucrecia Dalt's "Blindholes" into a hypnotic industrial stomper. LA producer Nite Jewel provides an utterly funky take on Barbara Morgenstern's song "Grow". London-born, Berlin-based artist Perera Elsewhere, aka Sasha Perera develops Danielle De Picciotto's "Desert Fruit" into a doom-drenched piece of beat poetry. Los Angeles producer Daedelus turns Sonae's "Between Two Worlds" into a luscious retro-futurist synth escapade. "... Gudrun Gut has a proven track record of successfully connecting with like-minded artists on unusual paths of creativity. She's an outstanding example of someone who refuses to compromise their artistic vision. And now she is ready to present one of her most ambitious projects ever: Monika Werkstatt -- a loose collective of female artists set up to enable each of them to achieve new goals through collaboration. Monika Werkstatt will ensure that their artistic output gains visibility in an art context still too dominated by men. Monika Werkstatt has its origins in collective workshops and in shared interactions. By sharing their own challenges and achievements later on with an audience, this opened a gateway to a further feedback and creative dialogue. . . . History has a weakness for coincidences, and the release of Monika Werkstatt happily falls on the 20th anniversary of Monika Enterprises. A fantastic landmark and a means of celebrating such a tremendously talented collective that Gudrun Gut has orchestrated. So what is this release really about? Gudrun's fellow Monika members -- AGF, Beate Bartel, Lucrecia Dalt, Danielle De Picciotto, Islaja, Barbara Morgenstern, Sonae, Pilocka Krach, Natalie Beridze -- travelled from Berlin and assembled in the creative oasis of Uckermark. The goal was to create and record without any of the usual pressures and distractions that you'd anticipate in a group context. To keep the focus, Mo Loscheider cooked, Manon Pepita assisted with the day-to-day and Lupe was filming. . . . Between recording and jamming, their days were filled with music, eating, short walks in the fields and forests resounding with inspiring talks and discussions. Without any restraint or rules, they opened up new forms of interaction and creative dialogue which found themselves falling into a process without any clear beginnings or ends. . . . Once the recordings were completed, representatives of the group were delegated roles for a finished production -- some sequenced and mixed the recordings into their own tracks, while others built their own from the material recorded. The results succeed in showcasing the community as a group, as well as portraying singular pieces of art derived from a collective process." Double LP version. Gatefold sleeve. Includes eight vinyl only tracks. Includes download code. "... Gudrun Gut has a proven track record of successfully connecting with like-minded artists on unusual paths of creativity. She's an outstanding example of someone who refuses to compromise their artistic vision. And now she is ready to present one of her most ambitious projects ever: Monika Werkstatt -- a loose collective of female artists set up to enable each of them to achieve new goals through collaboration. Monika Werkstatt will ensure that their artistic output gains visibility in an art context still too dominated by men. Monika Werkstatt has its origins in collective workshops and in shared interactions. By sharing their own challenges and achievements later on with an audience, this opened a gateway to a further feedback and creative dialogue. . . . History has a weakness for coincidences, and the release of Monika Werkstatt happily falls on the 20th anniversary of Monika Enterprises. A fantastic landmark and a means of celebrating such a tremendously talented collective that Gudrun Gut has orchestrated. So what is this release really about? Gudrun's fellow Monika members -- AGF, Beate Bartel, Lucrecia Dalt, Danielle De Picciotto, Islaja, Barbara Morgenstern, Sonae, Pilocka Krach, Natalie Beridze -- travelled from Berlin and assembled in the creative oasis of Uckermark. The goal was to create and record without any of the usual pressures and distractions that you'd anticipate in a group context. To keep the focus, Mo Loscheider cooked, Manon Pepita assisted with the day-to-day and Lupe was filming. . . . Between recording and jamming, their days were filled with music, eating, short walks in the fields and forests resounding with inspiring talks and discussions. Without any restraint or rules, they opened up new forms of interaction and creative dialogue which found themselves falling into a process without any clear beginnings or ends. . . . Once the recordings were completed, representatives of the group were delegated roles for a finished production -- some sequenced and mixed the recordings into their own tracks, while others built their own from the material recorded. The results succeed in showcasing the community as a group, as well as portraying singular pieces of art derived from a collective process." 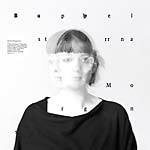 Barbara Morgenstern follows her 2012 English-language album Sweet Silence (MONIKA 074CD) with Doppelstern (Double Star), featuring 13 collaborations, each created in a different studio. This pre-album EP includes "Übermorgen (Extended)," which features a vocal duet with Justus Köhncke, who first suggested the double star concept to Morgenstern; Robert Lippok, with whom Morgenstern has crossed paths on numerous occasions, appears on the electronic instrumental "Scrambler (Extended)"; "Gleich ist gleicher als gleich" took shape in the studio of Lucrecia Dalt; and the intense, kraut-oriented "Kein Weg" was created in the studio of Schneider TM. Mixed by T.Raumschmiere. Monika Enterprise presents Far Away Is Right Around the Corner, the debut album by Cologne artist Sonae. Containing ten tracks written between 2012 and 2014, the record deals with reflections about friendship, growing up, and everyday life full of hope. Sonae's music is wide, flowery, and raw, from the very quiet ambient pieces to tiny club electronica moments, always embedded in an electronic soundscape. 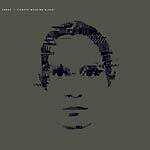 Sonae put out her first release in August 2012: the two-track EP Cologne on ambient and electronica label A Strangely Isolated Place. Her remix of "Saint" by Markus Guentner appeared in 2013, with two compilation appearances following later that year: "Entmutigt" on Sillage Intemporel's Elles and "Song of Hate and Anger" on Guentner's For Substrata, the latter appearance alongside such artists as Ismael Pinkler, Gustavo Lamas, and Rafael Anton Irisarri. 2013 was also the year of Sonae's live debut at the Perspectives Festival in Berlin, where she performed as part of an immense lineup alongside the likes of Ada, Electric Indigo, Mimicof, Islaja, and many more. In 2014 Sonae appeared at Art's Birthday Party at Södra Teatern in Stockholm, t.a.t. Cologne, and the Ambientmusikzimmer at Weltkunstzimmer Düsseldorf. In August of 2014 she released a remix for ambient artist 36 and in December the Shirley M. EP, a split release on comfortzone with Austrian musician Chra. In addition to her work as a musician, Sonae is an active member of female:pressure, an international network of female artists in electronic music, organizers of the female:pressure electronic concert series in Cologne and regular events in Berlin. Sonae's ambient creations inhabit a subtle space within the musical cosmos; one where the listener can go to experience a kind of sonic weightlessness -- just float off and let the sound waves wash over you. Monika welcomes a new artist to her roster: the Finnish producer and composer Islaja aka Merja Kokkonen. The new Islaja album marks a radical transition for the former folk musician into a solo artist who skillfully arranges lyrics, melodies and imagery into a much more electronic style than she has been known for in the past. The album is called S U U, which is Finnish for "mouth," and Islaja's bold vocal style and lyrical content will make you want to tune in to what's coming from her S U U. Islaja has been part of the contemporary music scene for several years, already producing wonderfully-arranged surreal pop tracks in her solo work, as on 2010's Keraaminen Pää (FR 072CD/LP) as well as in collaboration with other musicians as on the Hertta Lussu Ässä project in 2011, or recently as a contributor to AGF's Kuuntele compilation in 2013. In total, she has previously had four full-length albums on Finnish label Fonal plus one on Thurston Moore's Ecstatic Peace! Records. Still, so far it has mainly been insiders of the underground music scene that have been familiar with her work. Her music is strongly associated with the D.I.Y. scene, and so represents a prime example of a female musician who has developed a singular musical and aesthetic expression. Somehow Islaja fits in with these new modern female acts such as Anika, Nite Jewel and Yula -- even if their styles are all quite distinct. Now with her fifth album appearing on Gudrun Gut's Monika Enterprise, the latest activities of Berlin-based Finnish pop musician Islaja have shown a surprising change in style and sound. 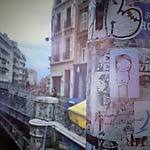 S U U was coproduced and mixed by fellow Berlin resident Heidi Mortenson. The record's development is firmly rooted in the city. The songs on S U U are so full of surprises, one doesn't really know what to expect next, so her current metamorphosis falls right in line with Islaja's nature. While mystical aspects were mainly expressed in older work through lyrics with strong links to Finnish mythology, they now appear on the compositional level and in vocals driving the beats into forward-moving tracks ever permeated with a sensation of the unreal. The low-pitched voice is somewhat reminiscent of Nico, and the presence of synthesized sounds also evokes references to '80s new wave and pop. Nevertheless Islaja's work is by no means retro; rather, it creates a unique and unusual atmosphere. Her sound is as intriguing and humorous as it is original. Monika label founder and long-term ambassador of the Berlin scene Gudrun Gut now presents a brand-new 7" single with two exclusive tracks to make you leave the city and go wild. Side A explodes open with GG's very own cover version of Canned Heat's classic "Goin' Up the Country." Gut has taken the blues-rock hit and given it her very own punk twist. With her roots in '80s bands such as Malaria! and Einstürzende Neubauten, needless to say, Gudrun knows how to give the song that extra edge. Turn the record over for an equally astonishing B-side in the form of the Brandt Brauer Frick Ensemble remix of the track "Tiger," taken from the Wildlife (MONIKA 077CD/LP) album. Following her previous albums, Baden-Baden (MONIKA 039CD/LP) and Los Angeles (MONIKA 059CD) on Monika, F.S.K. bassist Michaela Melián now continues the theme of geographically-titled albums with Monaco. Again, the record is rich in hypnotically-woven sounds with a resolute mood reminiscent of film music. In keeping with the previous two albums, the instrumentation is made up of largely classical acoustic instruments which are layered in loops to create mesmerizing soundscapes. In addition to the traditional instruments such as violoncello, Spanish and electric guitar, and banjo all played by Melián herself, the album also features synthesizer and even a mellophonium played by guest instrumentalist Ching Ying Hsieh. Once again, Michaela has been assisted on the production by fellow Freiwillige Selbskontrolle band member (namely the drummer) Carl Oesterhelt. And as with her former albums on Monika, Melián plays tribute to a musical hero -- this time David Bowie, in the form of a cover song with her rendition of "Scary Monsters." This rendition at the end of side one is the only lyrical relief on an otherwise instrumental album. Otherwise, the compositions explore the realm of sound art and ambience, drifting pieces with a dark and melancholy beauty. The music is atmospheric, brooding, and contemplative -- such are the conceptual similarities between this and Melián's work. In any case, Monaco now takes its place with the earlier LPs to form a powerful trilogy. LP version. Following her previous albums, Baden-Baden (MONIKA 039CD/LP) and Los Angeles (MONIKA 059CD) on Monika, F.S.K. bassist Michaela Melián now continues the theme of geographically-titled albums with Monaco. Again, the record is rich in hypnotically-woven sounds with a resolute mood reminiscent of film music. In keeping with the previous two albums, the instrumentation is made up of largely classical acoustic instruments which are layered in loops to create mesmerizing soundscapes. In addition to the traditional instruments such as violoncello, Spanish and electric guitar, and banjo all played by Melián herself, the album also features synthesizer and even a mellophonium played by guest instrumentalist Ching Ying Hsieh. Once again, Michaela has been assisted on the production by fellow Freiwillige Selbskontrolle band member (namely the drummer) Carl Oesterhelt. And as with her former albums on Monika, Melián plays tribute to a musical hero -- this time David Bowie, in the form of a cover song with her rendition of "Scary Monsters." This rendition at the end of side one is the only lyrical relief on an otherwise instrumental album. Otherwise, the compositions explore the realm of sound art and ambience, drifting pieces with a dark and melancholy beauty. The music is atmospheric, brooding, and contemplative -- such are the conceptual similarities between this and Melián's work. In any case, Monaco now takes its place with the earlier LPs to form a powerful trilogy. Gatefold LP version. Gudrun Gut goes "back to nature" on her first album release since her outings with the Greie Gut Fraktion in 2009. However, Wildlife does not portray nature as a cosy ur-idyll, but rather as a realm filled with rough tenderness and its very own dangers. Gudrun Gut -- in her guise as Berlin post-punk activist, label owner, radio presenter or party promoter -- has always been interested in gaps, niches and risky locations. Now, nature itself provides such a small and utopian niche; a place where "it" might happen in a very existential sense. All of the album's tracks took shape in Gudrun Gut's Uckermark hideaway, an hour or two away from Berlin. During production, in autumn and winter, this landscape exudes an almost eerie calm, suggesting that the outside world's hectic universe of data and projects is no more than a figment of our collective imagination. Far removed from hippie-esque humanism, Gut's natural states are much closer in spirit to the cool knowledge of punk and its successors. With the sangfroid and serenity of three decades of active music experience, between completely ingenious and utter dilettante, Gut now ventures into a lavishly proliferating world of sounds and references. While the opener "Protecting My Wildlife" confronts us with jarring post-techno minimalism, "Garten" soothes the ear with its shuffling, electric romance. 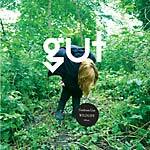 Soon enough, however, well-trodden paths are left behind: Gut's reworking of "Simply the Best" turns this hackneyed mega-hit into a staggering love ballad; a streaky guitar adds further distortion. "How Can I Move" seems to hide a trace of Armand van Helden in the underbrush; "Mond" flirts with subtle Detroit techno allusions. The distinctly dark "Tiger," on the other hand, truly does sound like a veritable tiger leap into the past. Similarly free of nostalgia, "Erinnerung" looks back to the past with a string of words created in a lyrical back-and-forth ping-pong match between Gut and author Annika Reich. All tracks were mixed together with Jörg Burger at two studios in the East and West. Time and again, the album exudes a lascivious and demanding intimacy that comes into its own on the fantastic "Frei Sein." Here, the track turns a nursery rhyme's playful naivety into an idiosyncratic anthem with African-inspired rhythms and a clicking, animist, ambient sound. "Frei Sein," i.e. being free, is what Gudrun Gut is all about. Gudrun Gut goes "back to nature" on her first album release since her outings with the Greie Gut Fraktion in 2009. However, Wildlife does not portray nature as a cosy ur-idyll, but rather as a realm filled with rough tenderness and its very own dangers. Gudrun Gut -- in her guise as Berlin post-punk activist, label owner, radio presenter or party promoter -- has always been interested in gaps, niches and risky locations. Now, nature itself provides such a small and utopian niche; a place where "it" might happen in a very existential sense. All of the album's tracks took shape in Gudrun Gut's Uckermark hideaway, an hour or two away from Berlin. During production, in autumn and winter, this landscape exudes an almost eerie calm, suggesting that the outside world's hectic universe of data and projects is no more than a figment of our collective imagination. Far removed from hippie-esque humanism, Gut's natural states are much closer in spirit to the cool knowledge of punk and its successors. With the sangfroid and serenity of three decades of active music experience, between completely ingenious and utter dilettante, Gut now ventures into a lavishly proliferating world of sounds and references. While the opener "Protecting My Wildlife" confronts us with jarring post-techno minimalism, "Garten" soothes the ear with its shuffling, electric romance. Soon enough, however, well-trodden paths are left behind: Gut's reworking of "Simply the Best" turns this hackneyed mega-hit into a staggering love ballad; a streaky guitar adds further distortion. "How Can I Move" seems to hide a trace of Armand van Helden in the underbrush; "Mond" flirts with subtle Detroit techno allusions. The distinctly dark "Tiger," on the other hand, truly does sound like a veritable tiger leap into the past. Similarly free of nostalgia, "Erinnerung" looks back to the past with a string of words created in a lyrical back-and-forth ping-pong match between Gut and author Annika Reich. All tracks were mixed together with Jörg Burger at two studios in the East and West. Time and again, the album exudes a lascivious and demanding intimacy that comes into its own on the fantastic "Frei Sein." Here, the track turns a nursery rhyme's playful naivety into an idiosyncratic anthem with African-inspired rhythms and a clicking, animist, ambient sound. "Frei Sein," i.e. 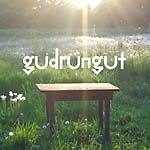 being free, is what Gudrun Gut is all about. Gudrun Gut presents her Best Garden EP on Monika. The Jörg Burger (aka Modernist) mix of "Garten" is an absolute hit in the Cologne tradition. The "trimmed" edition of the track is a shorter version taken from Gudrun's upcoming album Wildlife. "The Best" is a cover version which at first glance doesn't really fit Gudrun Gut, but its recontextualization gets a whole new power. Thomas Fehlmann has got all sides covered with two cool mixes. 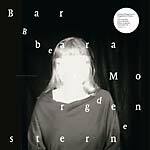 This is the sixth album by Berlin-based musician Barbara Morgenstern. Following 2010's Fan No. 2 (MONIKA 070CD), a greatest hits compilation of a different kind, Sweet Silence contains a fresh collection of all new songs sung for the first time only in English. As with all of Morgenstern's music, Sweet Silence exudes a glorious honesty which is just what makes her electronic pop sound so appealing. The record was mixed by Shitkatapult founder Marco Haas aka T.Raumschmiere, giving the whole thing that unmistakable Berlin sound. BM breaks the ice on the album with the title song "Sweet Silence," an anthemic intro enriched with vocal delays which sets the mood nicely. Morgenstern soon picks up the pace on "Need To Hang Around" -- this spirited song is a friendly reminder of how important it is to step back every once in a while. It's lighthearted while still carrying an important message; indeed, it remains a large part of the singer's charm that she never takes her music seriously. German fans already know Morgenstern's lyrics have always contained a great depth of meaning and imagery as well as humor. Now, with Sweet Silence, everyone can join in understanding the ideas and experiences at the heart of Morgenstern's songs, rather than just enjoying the sound of her voice on a purely instrumental level. That said, "Kookoo" works on both levels with profound lyrics and extensive creative use of vocal sampling. "Jump Into The Life-Pool" relates the age-old story that is the cycle of life, spiraling ever onwards just like the arpeggiated synth loops that are to be heard in the song. The short interlude "Bela" is one of only three instrumental tracks on an album so reliant on Morgenstern's tremendous vocal presence. "Highway" is probably the most orchestral tune, with a swelling string arrangement setting the mood. "The Minimum Says" is one of the few songs to feature guitar on a predominantly electronic album. "Auditorium" switches instrumentation again -- this time to a Rhodes and some seriously jazzy riffs. "Hip Hop Mice" is the second instrumental number on Sweet Silence and is somewhat reminiscent of Morgenstern's collaboration with Robert Lippok on Tesri, with the focus being purely on electronica and less weight being given to any pop aspect in the music. 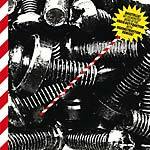 At just over five and a half minutes, "Status Symbol" seems to have almost epic proportions on an album that otherwise pretty much sticks to the three-minute golden rule of pop -- a long, drawn-out hypnotic jam that has something of a Nichts Muss feel to it. Sweet Silence is in many ways a milestone in Morgenstern's career and the next leg in her ongoing musical journey. Following the release of their debut album Baustelle (MONIKA 069CD) in 2010, Greie Gut Fraktion, also known individually as AGF and Gudrun Gut, now present you with reKonstruKtion; a full-length album of remixes based on material taken from Baustelle and featuring remixes by Soulphiction, Jennifer Cardini, Mika Vainio, Wolfgang Voigt, Alva Noto, GGF themselves and many more. Any construction opens up the possibility of reconstruction, or in most cases even implies a need for reconstruction. The constructivist movement of the '30s wanted to openly remove the copy-cat character from art. With the remixes of GGF's Baustelle it's similar; it's about finding a different approach to good material. Through progress in technology and networking, the boundaries between producer and DJ continue to blur more and more. Remixes are an integral part of this process and the results are often pleasantly surprising, as is the case on reKonstruKtion. Both exceptional solo producers in their own right, AGF and Gudrun Gut have naturally each done individual remixes. And so the album kicks off with Antye Greie's remix of "Drilling An Ocean," followed closely by Gudrun Gut's new "Rubberboots" take on "Betongiessen" (trans. "Pouring Concrete"). Kompakt boss Wolfgang Voigt presents a superb minimal rendition of the Palais Schaumburg classic which you might know if you got the Stadt Mixe 12" that came out to accompany the original album. Mika Vainio chose to mix "Drilling An Ocean" and his industrial-noise style lends itself perfectly to the subject matter, resulting in a dark, atmospheric piece of sound-art. Natalie Beridze aka TBA delivers a fine version of "We Matter" in a cut-up electronica style. Jennifer Cardini brings a relaxed minimal-dubby twist to "Make It Work," while Soulphiction aka Jackmate supplies a prime cut with his "Late Dub" remix of "Mischmaschine." 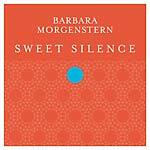 Barbara Morgenstern also contributes, presenting a delightful pop-mix of "Cutting Trees." Ever supportive of new talent, Monika introduces three new female stars Donna Neda, Chra and Villinette. ReKontstruKtion presents 15 high-quality remixes spanning a multitude of styles -- an exciting development and step forward from the Baustelle album. Georgian musician Natalie Beridze aka TBA first came to Monika through her contribution to Volume 1 of the popular 4 Women No Cry series. 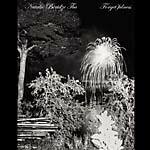 Following a 5-track EP, Monika is proud to present Natalie Beridze's stunning new full-length album, Forgetfulness. While these are her first solo releases on Monika, Beridze is certainly no newcomer. With output on labels such as Max Ernst, her ongoing collaboration with the Goslab collective, and a release on Laboratory Instinct, TBA's sound is both rich in texture and depth of vision. From the industrial beats of "What About Things Like Bullets" to the club-friendly electroambience of "The Face We Choose To Miss," the cutting-edge production gains warmth and a personal touch throughout from the presence of TBA's voice. As well as Natalie's phenomenal solo compositions, Forgetfulness contains a collaboration with Academy-Award winning Japanese musician, composer and pianist Ryuichi Sakamoto, on the meditative "Blue Shadow." The album invokes harsh winter wastelands and a depth of emotion that is sadly lacking in much of the pop we hear: two prime examples are "In The White" and "Silently" -- which are nothing short of breathtaking. This fine album ends with the cryptically-titled "Half This Game Is Ninety Percent Mental," an epic instrumental ambient odyssey. Natalie Beridze's music is captivating and yet at the same time leaves enough room to let the listeners' imagination run off in its own direction. Forgetfulness is a journey through serious electronic soundscapes, but thanks to the constant presence of her sensitive lyrics and gentle vocal tones, Beridze never loses that personal touch.